April 26, 2016, 11:38 a.m.
By Ricardo Bilton @rbilton April 26, 2016, 11:38 a.m.
To Americans, the rise of Donald Trump might feel like a singular historical event, something unpredictable even by the most astute of political observers. (Nate Silver called Trump a Black Swan.) Italians, however, might see Trump as America’s answer to former Italian Prime Minister Silvo Berlusconi: An entertaining, almost comical spectacle who nonetheless became a very serious candidate, impossible to ignore. 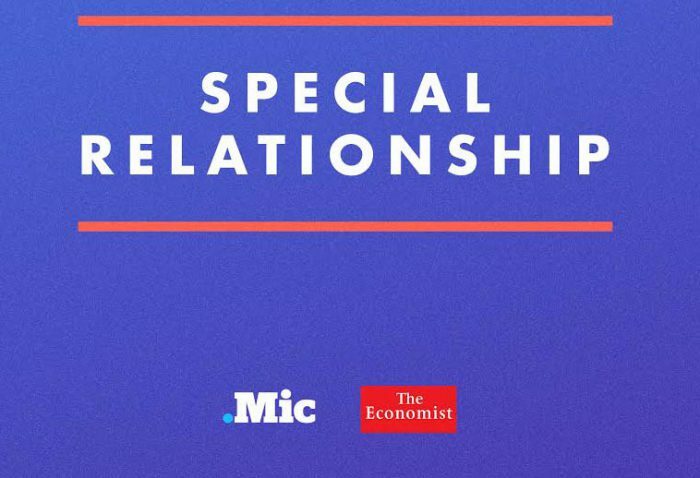 That kind of global perspective seems rare in the day-to-day coverage of the current presidential election, but it’s core to the ethos of Special Relationship, a new election podcast created by Mic and The Economist. The biweekly show, hosted by Mic reporter Celeste Katz and Economist reporter John Prideaux, will use the publishers’ respective approaches to examine issues core to the election. The first episode will focus on how national security factors into the campaign, with a look at how terrorism has shifted political races across the globe. Future episodes will cover issues related to economics, migration, and demographic changes. Something of a popup podcast, the show will run until the end of the election, though it could start up again in the future. Special Relationship will also be a new revenue source. While the first episode is sponsor-free, future episodes will have ads, the revenue from which will be shared by the two publishers. Partnering on podcasts has become a common strategy as of late. Quartz joined with Marketplace to launch Actuality last year, while FiveThirtyEight teamed up with On The Media on its politics podcast. Politics coverage is in no short supply, particularly during this election, but Mic and The Economist hope that the unique blend of the two publishers’ perspectives and approaches to news will help differentiate the new podcast, said Economist deputy editor Tom Standage. The Economist will bring its global view and tap its veteran reporters, while Mic will offer its brand of identity politics–driven coverage, along with its less stuffy, impersonal voice. The move should be an effective cross-pollination of audiences for the two brands. Mic, which gets just a third of its readers from outside of the U.S., will be able to put its brand in front of more people around the globe, along with the halo effect of being attached to The Economist. The Economist, on the other hand, will get its own brand in front of Mic’s audience, 70 percent of which is made up of millennials. POSTED April 26, 2016, 11:38 a.m.
Bilton, Ricardo. "A new podcast from Mic and The Economist aims for a global perspective on the 2016 election." Nieman Journalism Lab. Nieman Foundation for Journalism at Harvard, 26 Apr. 2016. Web. 25 Apr. 2019. Bilton, Ricardo. "A new podcast from Mic and The Economist aims for a global perspective on the 2016 election." Nieman Journalism Lab. Last modified April 26, 2016. 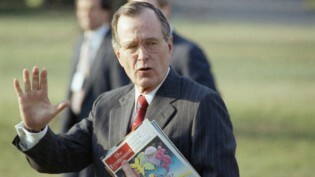 Accessed April 25, 2019. https://www.niemanlab.org/2016/04/special-relationship-a-new-podcast-from-mic-and-the-economist-wants-to-bring-a-more-global-perspective-to-the-us-presidential-election/.